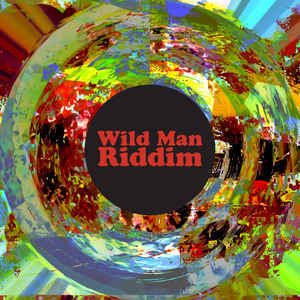 Comment: Wild Man Riddim`s self-titled issue is the first entry of mine at Oslo, Norway-based site MarsMelons and by listening to Wild Man Riddim`s nine compositions I am convinced to come back to the imprint’s catalogue for more times in the near future. Of course, today is Sunday (indeed, I began to love this day stepwise) and the weather in the morning is idyllic and the air is refreshing being imbued with spring tastes and rainy breezes. Brage Rognlien-headed combo, involving a couple of black musicians to deliver vocals in some tracks, improvises with Jamaican reggae rhythms and ska thrusts, however, frequently searching for more funky and psychedelic sound (I adore those dusty reed organ and brass chords moving in and out of the mix!) thereby coming close to Afrobeat/funk/futurism, which roots come from Nigeria, and Ghana. Additionally, the group elaborates music of such jazz and improvised music juggernauts as Herbie Hancock (Cantaloupe Island), and Dizzy Gillespie (A Night in Tunisia). Mostly it chimes as an accompanying music instance while one is doing something else rather than concentratedly listening to music though there are up moments to provide more depth, work out more complex structures and show up more vivid ambition to make difference (for instance, Big Difference). I guess the ensemble`s live may even be more amusing than just having a listen with the headphones.